BEWARE: Top 5 Potentially Cancer Causing Children’s Snacks Made From Petroleum-Based Products! Who doesn’t like a good snack? We all love snacks! However, we have to be smart about what we choose to consume! Companies market food directly to children through T.V. and radio commercials, the internet, magazines, toys, clothing, and even through product placement in movies, video games. The total amount of money spent on marketing food to children in order to actively influence their food choices is about $10 billion a year. 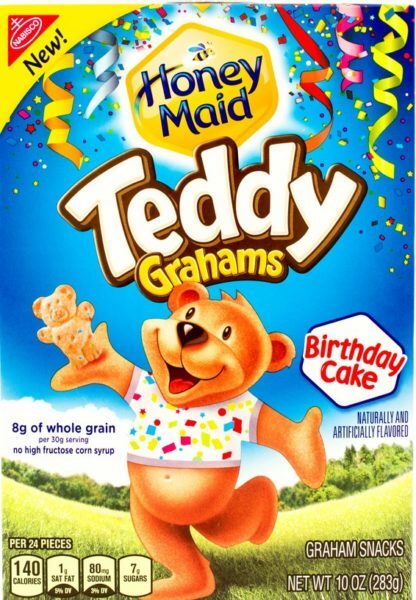 $10 billion to ensure that kids pick the extra-sugary cereal with the movie character on the box, or the fruit snacks full of artificial preservatives that are shaped like animals from the zoo. Marketing to children works and the fact is that the overwhelming majority of marketing directed at children is for foods with poor nutritional quality that are potentially dangerous to their health. We know that most of these products fall into the “junk food” category, but how exactly are the ingredients in these snacks affecting our health? Many of the popular snacks kids love contain artificial food coloring to make the food look more appealing to children – allowing them to “taste the rainbow” and have fun with their food. Yellow 5 (tartrazine) and Red 40 are just two of the commonly used food dyes made from petroleum, which is used to enhance products such as Fruit Loops, Jell-O, Kool-Aid, macaroni and cheese, popsicles, fruit roll-ups and Nutri-Grain cereal bars, just to name a few. These dyes have been linked to serious health problems, including cancer, hyperactivity, and allergic reactions. Yellow 5 and Red 40 are two out of six food colorings that are banned in the UK, but U.S. companies still use them freely in their products. So much so, it is estimated that manufacturers in the U.S. put about 15 million pounds of eight different synthetic dyes into our foods each year. 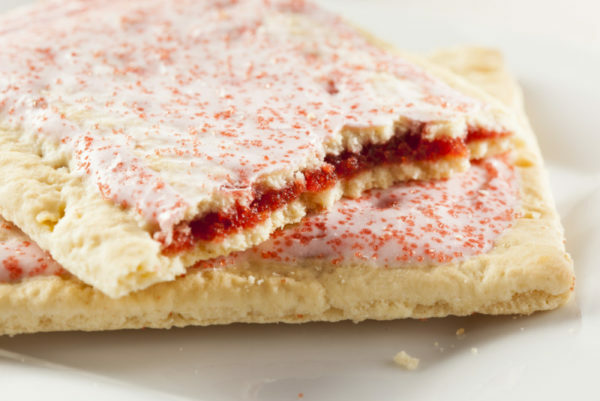 The most popular flavor of Pop Tarts, Frosted Strawberry, includes ingredients such as corn syrup, dextrose, sugar and high fructose corn syrup, all of which have been linked to sugar addiction, diabetes and liver problems in children. These toaster pastries also include TBHQ, a petroleum-based product that causes cellular dysfunction. In laboratory animals, it’s been linked to tumors, loss of vision, liver enlargement, convulsions, and paralysis. 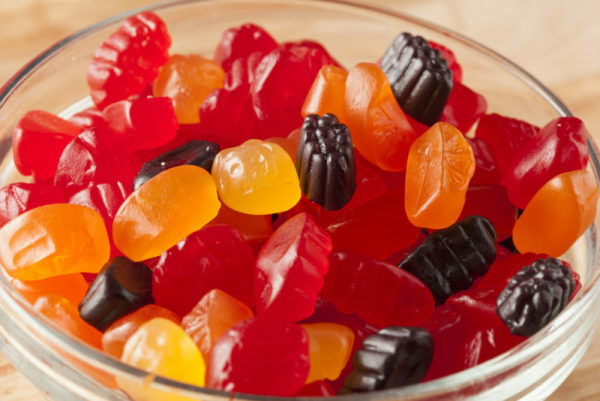 The food color most often used in these “fruit” flavored snacks is Red 3 or erythrosine, a petroleum product which has been banned for use in cosmetics due to its connection with thyroid tumors. It is unsafe to use on your skin, but eating it is no problem? Avoid the gummy section! 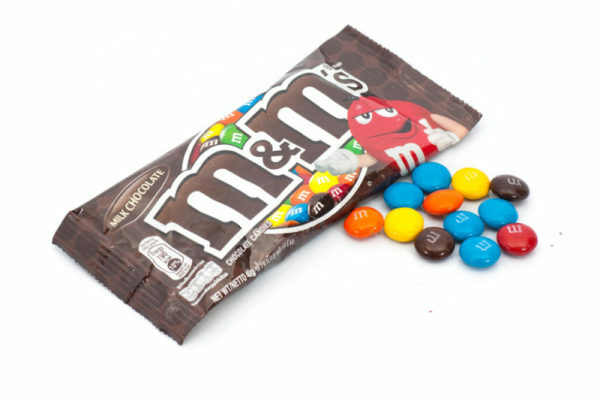 These popular candies contain a lot more than chocolate, including Blue 1, which can trigger the development of malignant tumors, Blue 2, which can increase hyperactivity and has been linked to brain tumors, Red 40 which can damage DNA, and Yellow 5 and 6 which have been linked to cancer. 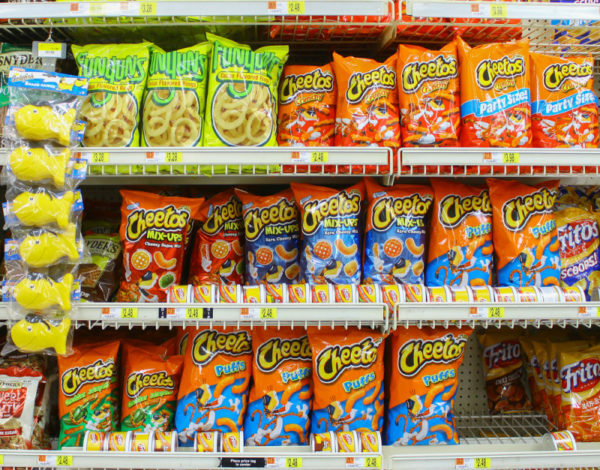 The artificial coloring in this snack is made from Yellow 6, which is derived from petroleum, as is the “cheese” flavoring, which includes methyl benzoate and ethyl methylphenidate. These tiny bears are laced with TBHQ, which has also been shown to cause stomach cancer in lab rats, fragment DNA and cause damage to the human lung and umbilical cells. In children, it can cause anxiety, restlessness, and intensify the symptoms of ADHD. The continued use of these artificial dyes in food, especially in children’s snacks, poses unnecessary and dangerous health risks that can be avoided by being health conscious and keeping an eye out for artificial coloring in your food. Your children can still “taste the rainbow” — in the form of naturally colorful organic fruits and vegetables.